Sanganeb Marine National Park and Dungonab Bay - Mukkawar Island Marine National Park are two pristine marine ecosystems in the Red Sea. The 2 geographically separated locations around a coral reef are known as excellent diving sites. Huge schools of manta rays and sharks make common appearances in these waters. Furthermore, Dungonab Bay has a healthy dugong population. I visited this site in 2009 as part of a 2 week diving trip in Sudan on board the Royal Evolution. I won this expensive trip with a website contest. We did 3 or 4 dives a day for 2 weeks! We got our visa in Port Sudan. 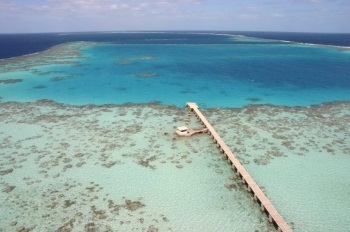 From there we visited all the magnificent diving sites of Sudan. 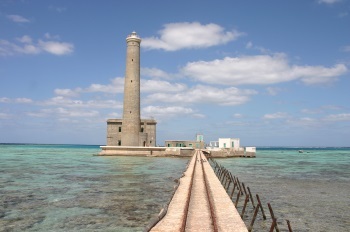 At Sanganeb reef we visited the lighthouse and had a chat with the guy who works there. After the visit we stayed 2 days at Sanganeb Reef and did several dives at Sanganeb North and Sanganeb South. Everything you can imagine under water was there! I dived on many nice places in the world but diving at Sanganeb and the rest of Sudan was really amazing and unforgettable!! Read more from Bram de Bruin here.